Champions League action has returned, and that means The Stoppage Time has a lot to cover for Mexicans abroad. 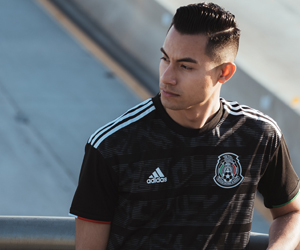 We saw some goals, assists, and big plays for the core of El Tri with their Euro clubs. On Tuesday, Raúl Jiménez and Benfica took on Turkish club Galatasaray in their group stage match. Raúl was given the start and he was very active throughout the game. Several chances came his way, but Galatasaray goalkeeper, Fernando Muslera, played on top of his game to deny Jiménez. Yet, while it was 1-1, Raúl crossed the ball to Luisão for the game winning goal in the 67th minute. Raúl was given one of the highest ratings of the game with a 7.7. PSV had a big match against Wolfsburg at home, and both Andres Guardado and Hector Moreno got the start. Moreno helped PSV keep a talented Wolfsburg attack off the board. Meanwhile, Guardado took control of the midfield, and added a spectacular assist for the game-sealing goal. Moreno was given a 7.4 rating, and Guardado was given a 7.5. FC Porto has been on fire in group stages, and Miguel Layún saw himself in the starting XI against Maccabi Tel Aviv. His control of the left wing was dominant, but it was in the 72nd minute where Layún scored a beauty to give FC Porto a 3-0 lead. Hector Herrera came in to play 28 minutes, and Jesus “Tecatito” Corona was on the bench, but did not play. Layún was rated the second best player at 8.9. In the first meeting against Roma, Chicharito netted twice in a 4-4 thriller. On Wednesday night, Chicharito continued his fantastic form. After being down 0-2 earlier in the game, Bayer pulled one back in the 46th minute, and Chicharito made it even only five minutes later. Bayer would lose on a controversial play which gave Roma a winning penalty. Chicharito became the CONCACAF’s best Champions League scorer (12), and for the first time, two Mexicans scored on the same day in the tournament. Russia 2018 feels like a long way away, but regional qualifiers start next week. With Mexicans playing high caliber football, along with having a rhythm this year with El Tri, opponents may have a handful. El Salvador comes into the Azteca on Friday, November 13, and looking at what Mexicans are doing in Europe, it could be a lopsided match.